Dragon Knuckle’s heat resistant BBQ gloves stand out for a variety of reasons. One of the main reasons they’re worth the buy, quite honestly, is because Dragon Knuckle is a small company that seeks to fulfill the needs of grill enthusiasts and pit masters. You have to love a company that finds its own manufacturers and then sells to the consumer straight through Amazon. That might just be the future of business. Back to the topic of the gloves themselves, Dragon Knuckle employs a full-disclosure policy regarding the materials used to make them, which is refreshing. The brand relies on Aramid fibers, specifically Meta-Aramid 1313 and Para-Aramid 1414. They are the same fibers that make Kevlar and Nomex, two DuPont once-patented threads used in the protective clothing worn by fire and rescue workers and members of the military. Now that DuPont’s patent has run out, you sacrifice nothing except a name brand. 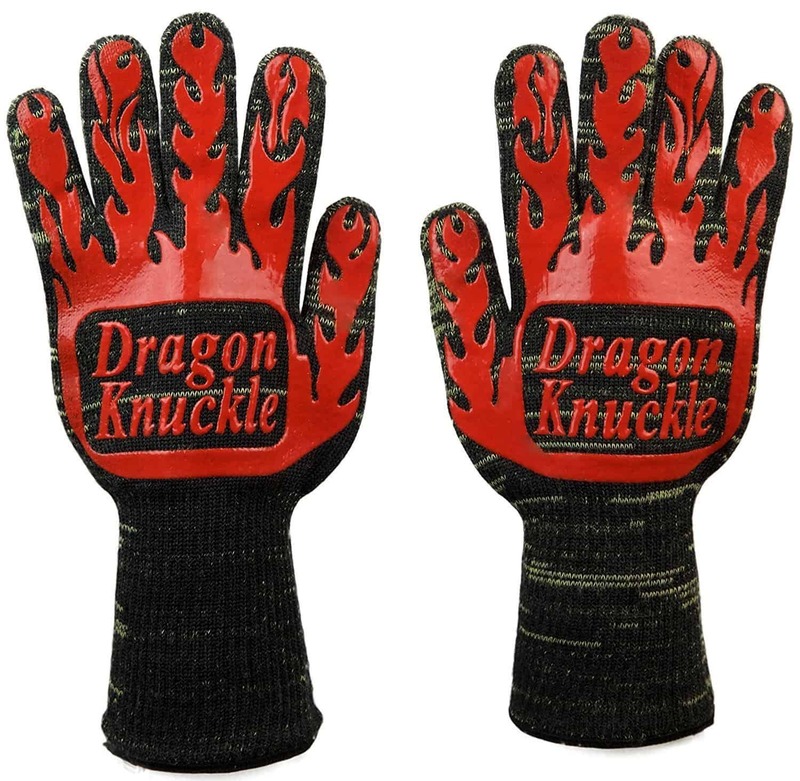 Dragon Knuckle is thus able to manufacture their fire resistant gloves more cheaply, and they pass on the savings to their customers—i.e., you. Are you still poking your fire with a stick, seriously? The Dragon Knuckle heavy duty fire resistant gloves will help you join the 21st century of heat protective equipment. It takes a unique factor or two to stand apart from all the other heat resistant BBQ gloves on the market. The folks behind the Dragon Knuckle brand recognize that, and thus go above and beyond to prove to consumers that their gloves out-perform their competitors in every area. You can genuinely place your hand on a hot grill, hold a blazing chimney starter, or pick up a burning log from the fire. You don’t want to do any of those things for longer than a few moments, of course, but there’s no need to play daredevil for longer than that. You’re not grilling your hand, after all, and when you bake a cake, you don’t need to stand there holding the hot pan until it cools. 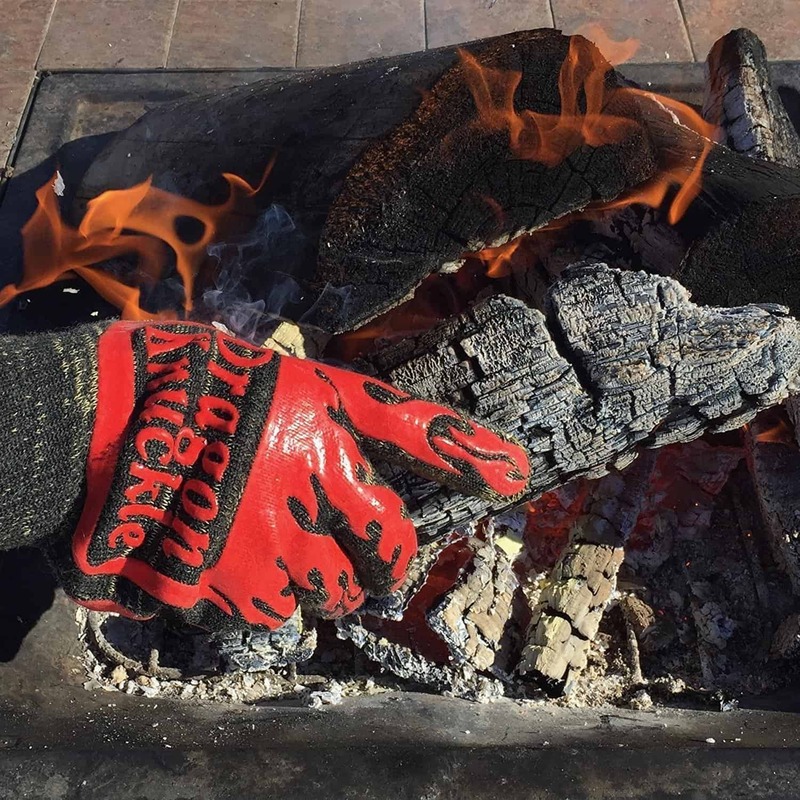 Working your grill, oven or at the campfire, Dragon Knuckle gloves will give you the confidence that you are safe and you will look damn good doing it too. The Aramid fibers also protect your hands from knife cuts and other jagged objects. One of the brand’s most eye-catching promo photos features a hand, wearing a Dragon Knuckle glove, holding a wicked sharp knife. That’s compelling stuff. Again, it’s not as if you will ever have cause to clutch a knife in your first I would hope. However, it’s comforting to know that your hands, wrists, fingers are protected from accidents while chopping vegetables or slicing meat. You don’t have to worry about cutting yourself on jutting objects as you grill or smoke, either. The woven Aramid fibers are one thing. They protect against fiery temperatures and cutting edges. 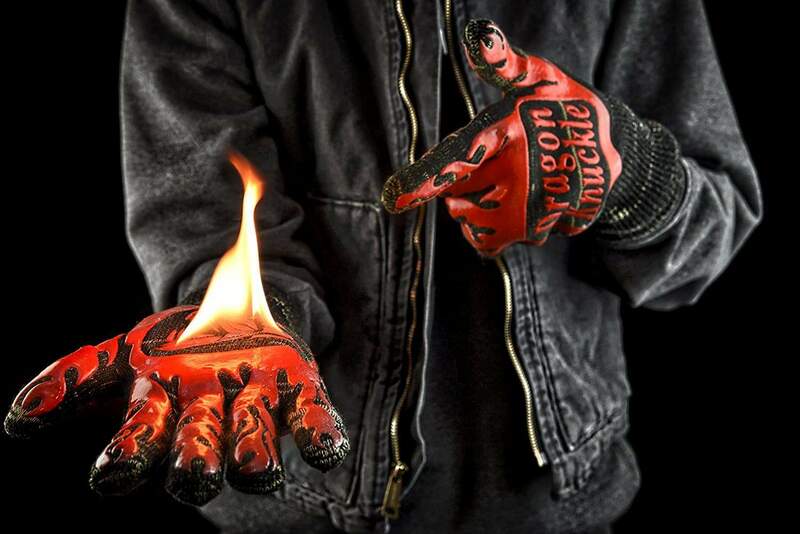 The gloves are also covered with heat-resistant silicone flames adding another layer of protection. The front and back smart logo placement on the palms provide you added protection. Not only does the design appear cool as hell, but it has a functional purpose, too: creating a non-slip grip. On its own, silicone is a not the ideal base for a high heat grilling glove. You might as well wear an oven mitt. As an accent, however, the material is ideal for cooking and grilling. Nothing you pick up will slide out of your grip and it’s one more protective layer between your hands and the heat. As mentioned, the Dragon Knuckle grill gloves weigh a whopping 13 ounces making them the Heavyweight Champ of grilling gloves. To put that in perspective, most of their competitors’ gloves are between 7-9 ounces. You might worry that wearing such a heavyweight glove while you cook will make your hands sweat, but a 100 percent cotton lining avoids the risk of causing dampness that will conduct heat. There won’t be any nasty surprises as you hold a hot pot. The Dragon Knuckle Heat Resistant BBQ Gloves have an EN 407 rating, just like most grill gloves that use Meta-Aramid fibers. This standard ensures that any items containing the fibers can withstand temperatures as high as 932°F. This is a fact touted by most, if not all brands that manufacture gloves with Aramid, Nomex, or Kevlar. Dragon Knuckle doesn’t do that. Instead, they rate their gloves as able to withstand temperatures up to 500°F—just to be on the safe side. In spite of how deeply they believe in their product, they care first and foremost about the safety of their customers. They do not need to brag. Refreshing, isn’t it? These BBQ gloves are all about the fit. They’re designed to hug your wrists, cling to your palms, and conform to your fingers. Stretch them snugly and pull the cuffs over your wrists and up your arms. Get used to the weight of them first. The heft isn’t an impediment, but it may take you a minute to get accustomed to it. Your movements will adjust quickly, and you shouldn’t find that the 13 ounces cause fatigue. 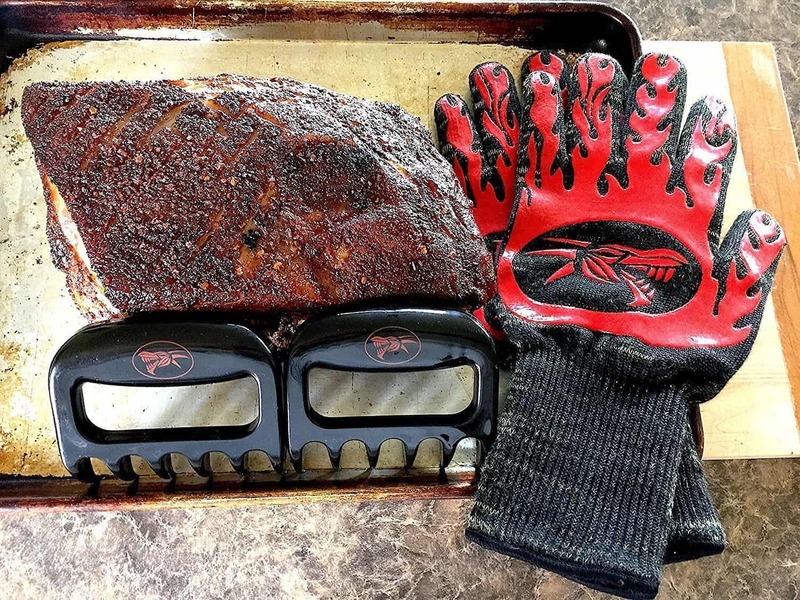 There’s no shortage of grilling gloves that swear you can place your hand right in the fire. Not only do these heat-resistant BBQ gloves make the same claim, but they provide photographic proof—and so do unrelated, unbiased reviewers who are delighted to try them for the first time. That’s primarily because Dragon Knuckle backs up its claims. A look at Dragon Knuckle’s website reveals a detailed explanation for the grey, unbleached appearance of their gloves’ woven fibers: that proves that you’re dealing with quality, true-blue Aramid. The result is an EN 407 standard that rates the BBQ gloves as safe in temperatures as high as 923°F, as well as a cut resistant surface. Silicone grips cover much of the gloves’ surface area, providing another layer of protection and ensuring a firm grip that never slips. The third, inner layer is all cotton, creating a comfortable, cool fit and guaranteeing that your hands remain dry and sweat free. The cuffs are 12 inches long—an extra foot of heat resistant fabric designed to prevent burns to your wrists and lower arms. The tight weave of the Aramid fibers allows for full flexibility. The range of motion in your hands is as free-flowing and dexterous as if you weren’t wearing the gloves at all. You don’t have to try to pick up a meat fork or flip a burger with clumsy hand movements, nor will you feel like you’re wearing novelty cartoon gloves. Although an EN 407 standard rating states that Meta-Aramid fibers can withstand heat up to 932°F (500°C), you should never be cooking at temperatures that high. And even if the gloves could withstand exposure to heats that high, I don’t think it will be very comfortable for your hands. So in the name of safety, Dragon Knuckle suggest only using their gloves for heat up to 500°F (260°C) which should be more than fine for most grilling and cooking needs. The ease of movement is the real tell. If you can’t handle your cooking implements or turn the dial on your grill, then what good are your gloves? The clinging fit of Dragon Knuckle’s gloves will form to your hand. You’ll have just as much flexibility as you have with bare hands. The cotton lining keeps them from sticking to your hands, as well. There’s nothing worse than gloves you have to baby. Who has time to hand wash anything these days? Throw your gloves into the washing machine with the rest of your knitted or winter items. Run a cold water cycle, however, and don’t put them in the dryer afterward. Just hang them up and give them time to air dry. So go forth without fear of getting up close and dirty. When you’ve finished your feasting, throw these gloves in the washing machine and they will come out as good as new. These heavy-duty gloves can take a beating and bounce right back for more. With an EN 407 rating and the quality of the build, you are going to love the versatility of these gloves. 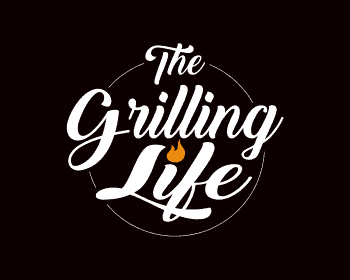 From baking to cooking, BBQ, and grilling, building a campfire and more. They also do a great job of keeping your hands warm on a cold winter evening. 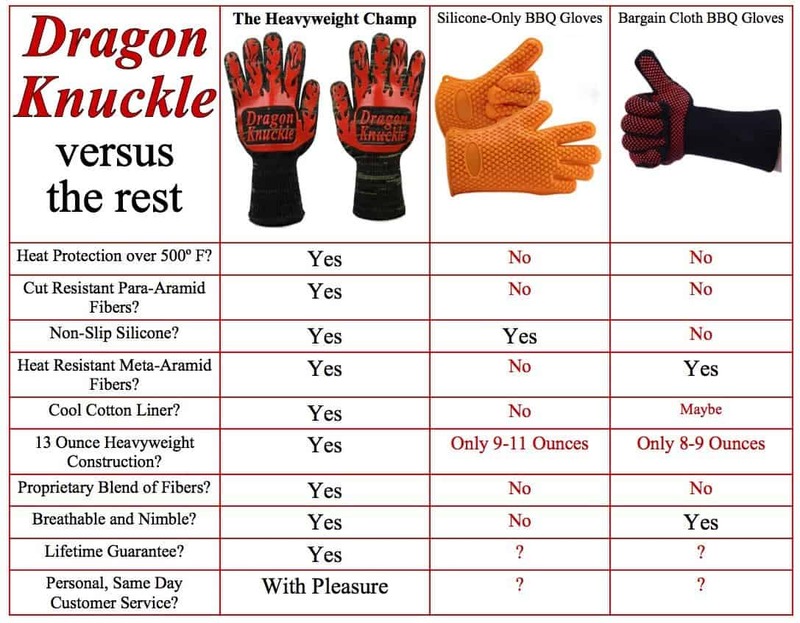 Who Are the Dragon Knuckle Grilling Gloves For? Cooks of all kinds need heat resistant gloves. They’re far superior to oven mitts. Maintaining your dexterity is essential if you want to show off your culinary prowess, and that’s something you can’t do with traditional oven mitts or silicone gloves. Pitmasters, great grillers, and kitchen cooks are all part of the target demographic. Even if you just use them at your fire pit, they’re worth it. Unless you never wear gloves, you’ll benefit from these in some way. You might want to look for an alternate brand if your hands are particularly large or small, but that’s about it. Mind you, they’re perfectly serviceable as regular oven mitts. You can get Dragon Knuckle’s oven gloves on Amazon for $30.00. The brand’s guarantee is one of its most impressive features: it’s a lifetime guarantee. Try them, and if you aren’t in love with them, you get a full refund, no questions asked. That’s a brand that stands behind its product, which speaks well for what you’re getting. It’s not often you come across a humble brand that’s happy to let its products speak for itself. So many heat resistant BBQ gloves are guilty of braggadocio, but Dragon Knuckle walks the walk as well as talks the talk. You have to respect that—and since you can get your money back if you’re not satisfied, you’ve really got nothing to lose. I hope this Dragon Knuckle Heat Resistant BBQ Gloves Review was helpful for you. As always, if you or someone you know is interested in heat resistant cooking gloves please consider sharing with your friends or on social media. Sharing is caring my friends! 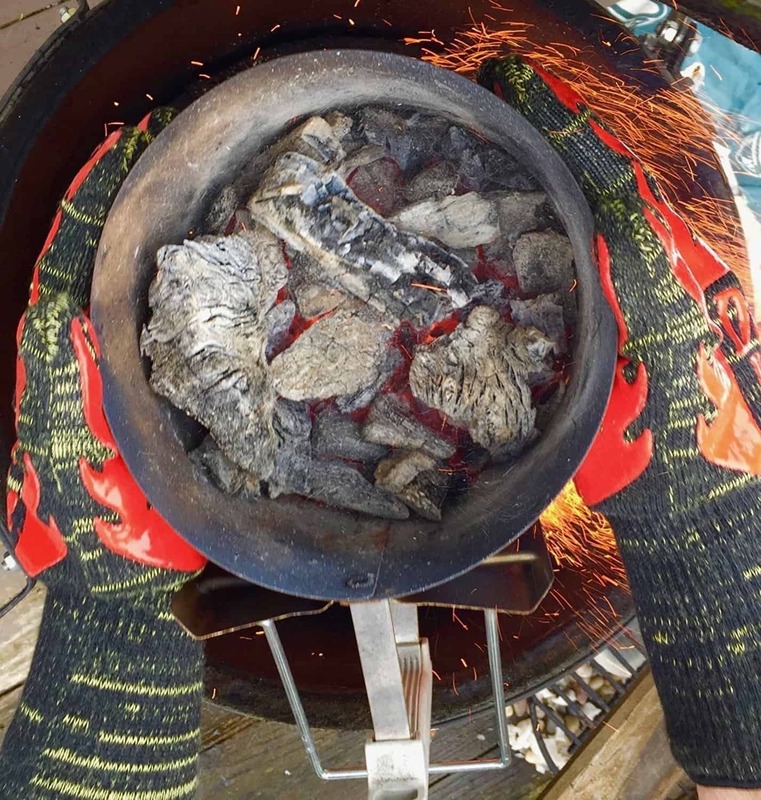 If you would like to leave a comment or have a review of your own to share on the Dragon Knuckle Heat Resistant BBQ Gloves, please do so below. We always welcome your input.